Little E is cutting a million teeth this week. I know that isn't physically possible, it just seems like it. 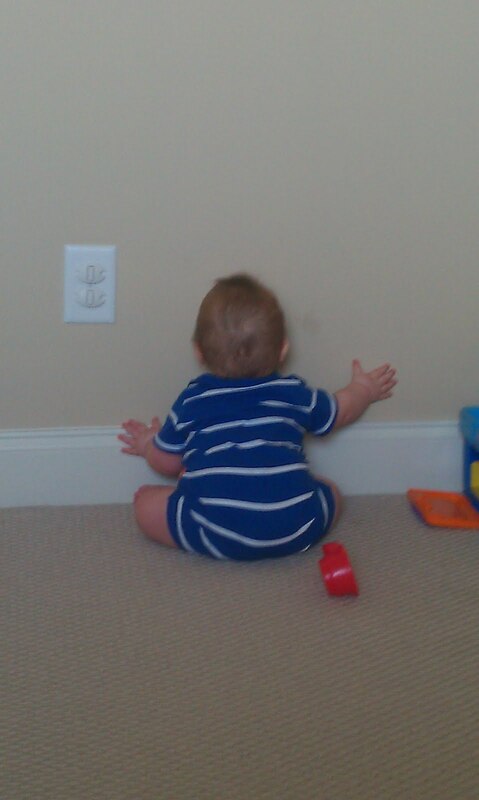 Today, he was trying to chew on the wall. My kid literally eats paint. He is that kid! I need to get him some chew toys, STAT!